Can someone please advise me where I am going wrong. Both urls seem to work for me. Like Pablo a .index.html/html/php or also is a server requirement. If you do wish the URL extension to show then you can write a .htaccess this will hide whatever extension used and just display the URL. As . htaccess file is a server related you may need to contact them for further help on how to implement. You do not need to add .html extension, it will be added automatically based on the Page Properties. 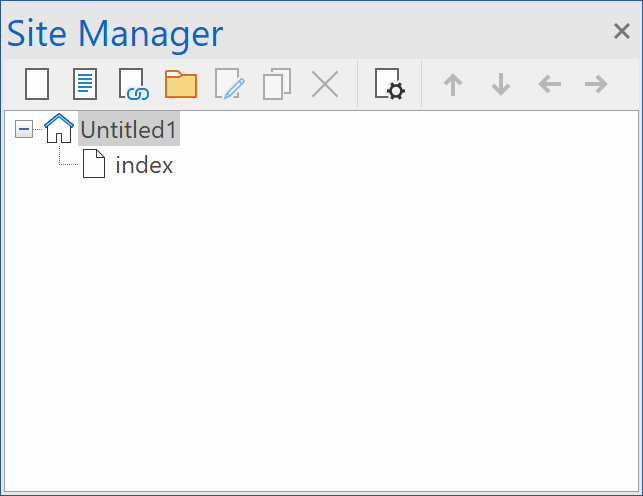 When I first save the site I save it as infonottingham and in the site manager window it shows infonottingham and below that index. It might be best to read the following to help you understand how the site manager is used and naming used.